The Hotel Detective is sailing on a sea of superlatives, The Europa 2, a 500-passenger ship belonging to Hapag-Lloyd Cruises. According to the 2016 Berlitz Cruising & Cruise Ships, considered the Bible of cruise guides. 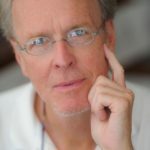 Europa 2 is the best ship in the world, “the benchmark in contemporary cruising,” according to editor Douglas Ward. The ship offers the highest passenger-space ratio of any cruise ship, a key index of luxury at sea. 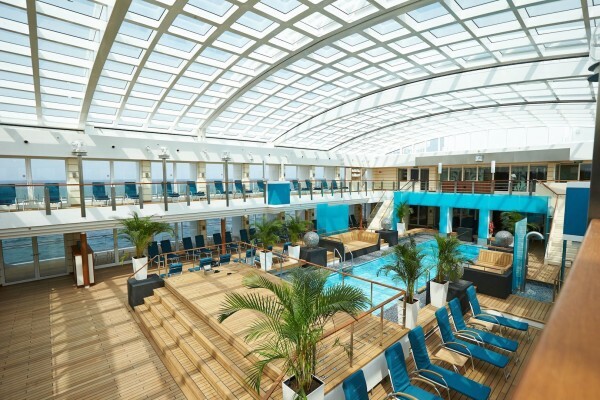 It has the highest cabin ceilings (12-14 feet) in the cruise industry, and the largest spa-fitness facility (10,764 sq. ft./1,000 sq. meters) for a ship its size. It surely has the cheapest bar prices (E1,60 for a beer, E5-6 for a cocktail), and a most memorable room-service charge: none. THD will be posting daily. Stay tuned. It’s a sun-shot day in the North Sea, a gorgeous one to spend on the leeward side of the Europa 2 or in here, the nearly three-story high court centered on the pool. That waffle-pattern roof is retractable, although today’s brisk wind is going to keep it shut. The Pool Deck is the perfect place to combine the two great pleasures of a day at sea, alternately reading and watching the coast (today, of Sweden) slip by. Or as the couple beside me are doing, planning another cruise already. It’s 9:28 PM but it feels like 4 in the afternoon. It’s the light–in Norway in summer, it’s caffeine. So intense and yet gossamer, limpid, but making colors, especially white, glow from within. Your body reacts to it. It’s light-activated, so you’re on. There’s no dusk stage-cue whispering “get ready for day’s end.” Last night I awoke at 3:30 in the morning and it was already light. July is the flip-face of the winter coin, though. 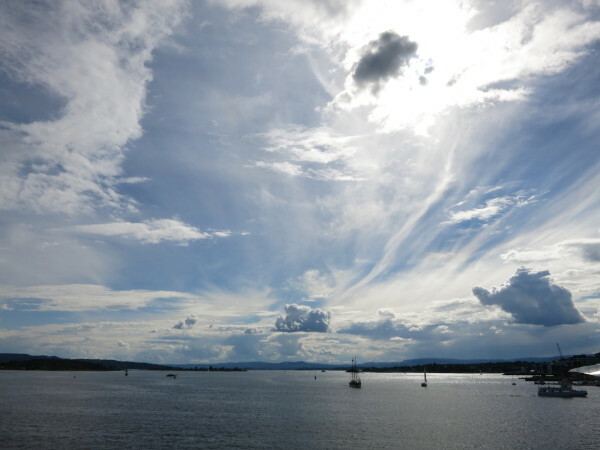 Then, this early evening Oslo harbor view will be long smothered in darkness. Let there be light! Da Vinci’s Mona Lisa and Edvard Munch’s The Scream have one thing in common: They draw crowds. 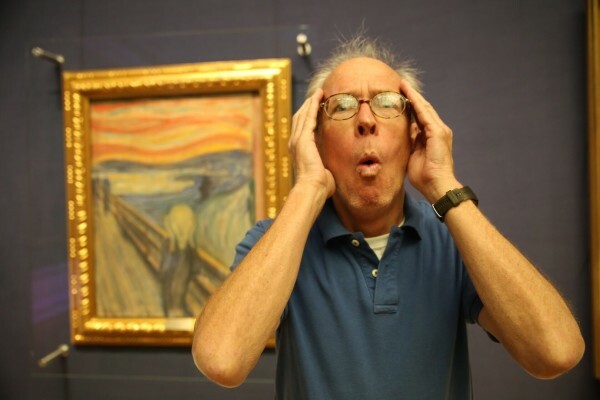 At the Munch room in Oslo’s National Gallery, visitors don’t just pose before Munch’s best known painting; they imitate the figure’s haunting look–of course, while being photographed. The museum’s Munch collection is outstanding, but if it’s not enough head for the Munch Museum in the Botanical Garden off Vahis Gate. A visit there should get you to lunchtime, and your best option is to walk up to Grunner Løkka, a district of restaurants, cafes, and boutiques. 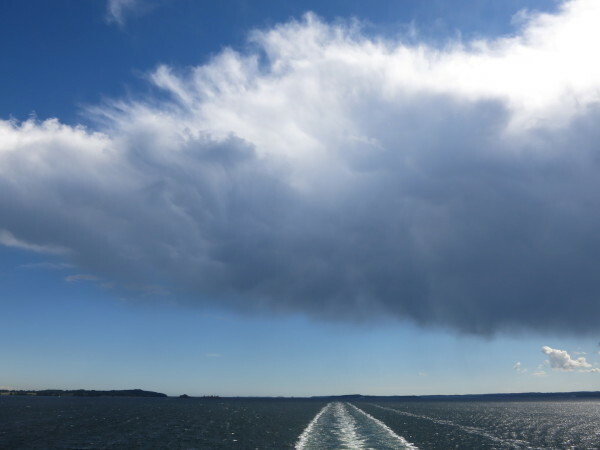 A day at sea, as we round the tip of Norway and head north to the Eidfjord. The air carries an October tang and is so whipping-fresh that it’s a kind of energy drink. But you don’t just get the benefit up on deck. 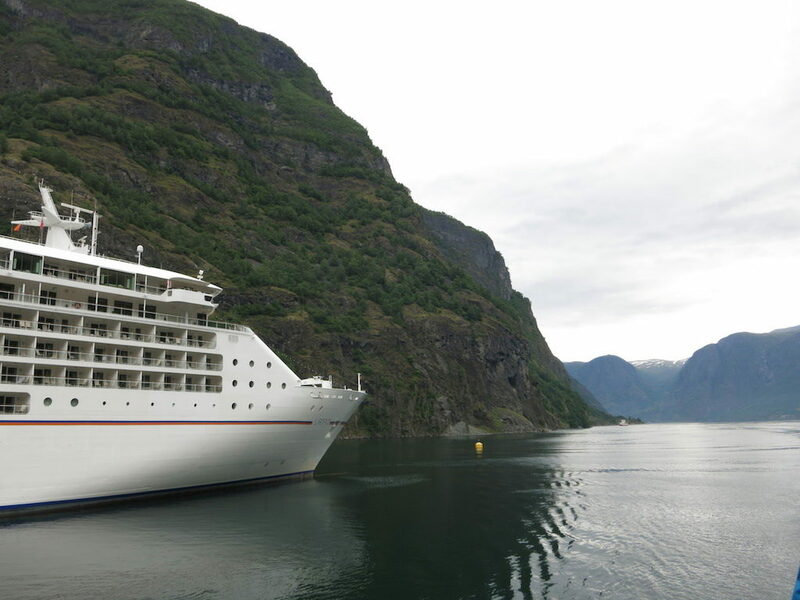 The Europa 2 is unique among cruise ships in circulating 100% fresh air through the ship. (The industry standard is roughly 20% fresh and 80% recirculated.) In the rooms, the circulation is done ingeniously: The air is brought in through the living area and sucked out through the bathroom to vent odors and humidity. Want to dry your feet without bending down? Close the door of the bathroom and place one foot lengthwise beside the small gap between the floor and the bottom of the door. 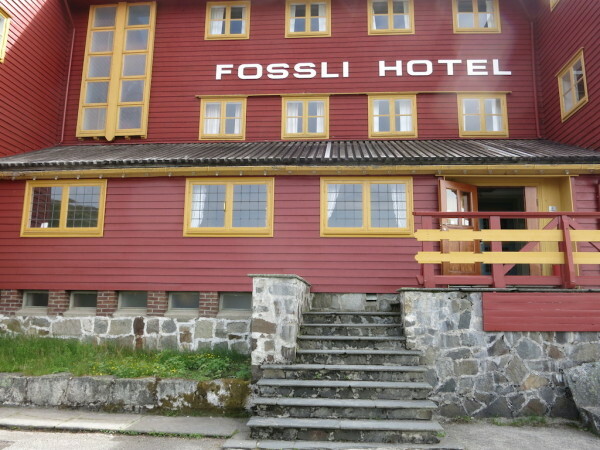 The Fossli Hotel is actually a bit of a fossil. It stands above the Voringfossen (182- meter plunge), Norway’s most popular tourist attraction and a morning excursion from the Europa 2, anchored at the head of the Eidfjord. The Fossli was built in 1891 by a farmer who had made a good bit of money horse-packing supplies up to the silver mines in the region. (His great grandson now runs the place.) The experience served him well as the building materials had to be brought in by horse. (It wasn’t until 1950 that the Oslo-Bergen road was pushed through this area of brooding granite hulks.) The 21 rooms are pleasingly simple (below)–51 has the best view down valley–the lobby is original, and the dining room (below second) has a cruise-ship-of-yore feel. Trivia tidbit: Edvard Grieg composed his Opus 66 here. Open May 20-Sept. 15. 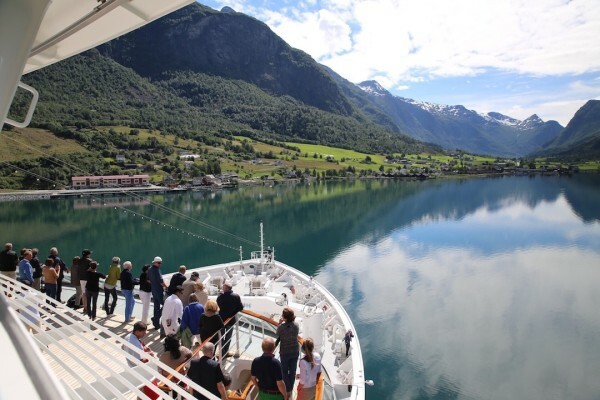 In the past two days, the Europa 2 has become a VIP box for viewing the Norwegian fjords, the heart of this voyage, offering perspectives you can’t get any other way. Nine stories up on the stern or bow, you get a near IMAX view of a meditative landscape formed by violent natural forces, tectonic-plate collision and then glaciation. The fjords impose a dimensional vertigo: The world comes down to the mammoth and the miniature, to A-380 and Piper Cub. The taciturn granite often rises more than a thousand meters (more than a half mile) and humans and their effects seem to cower at the base. Houses on the shore look as though they could be picked up with a tweezer, and cars resemble frantic insects disturbed. There are threads of white way out there and if you squint and stare, they resolve themselves into whitest water in giddy free-fall down a cliff face. The cruise came to a splendid finale today, a drive from Vik on the Sognefjord up over the mountains where baseball fields of snow linger and down a long squiggle of hair-pin turns to Gudvangen. 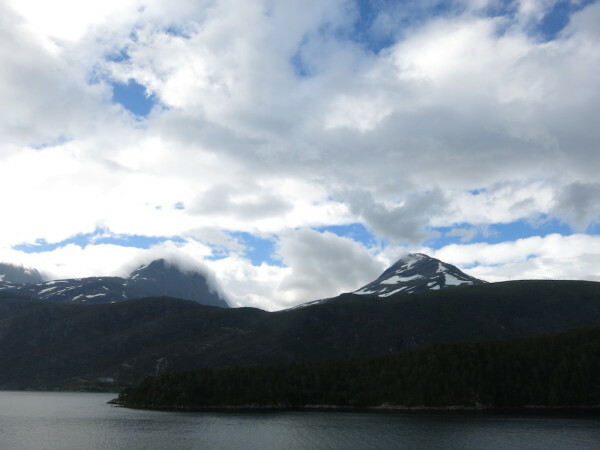 There we boarded a ferry for a two-hour trip down the Naerøyfjord, a UNESCO World Heritage Site. In a nutshell: It’s a Norwegian Yosemite–miles and miles of El Capitans.